Orthorexia is classified by extreme healthy eating, rigid food rules and can be accompanied by excessive exercise, Obsessive Compulsive Disorder and other anxiety disorders. 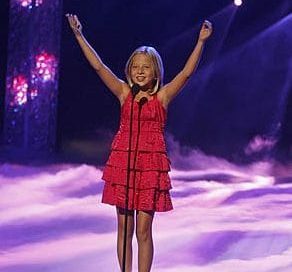 Previous Americas Got Talent winner, Jackie Evancho tells Good Morning America about how growing up in the spotlight contributed to her development of an eating disorder and body dysorphia. While all eating disorders look a little bit differently and should be treated as such, there are many warning signs that present similarly for each diagnosis. Here are 5 symptoms that can be indicative of a larger problem. As our society continues to place great focus on physical appearance, diet culture, and unrealistic body image ideals, it is important for parents to be vigilant around their child’s eating behaviors and attitudes toward their bodies. The netflix satirical comedy, Insatiable trivialized the experience of those who have been impacted by an eating disorder. Night eating syndrome is an eating disorder, characterized by repeated episodes of eating excessively at night (after dinner) or after you’ve gone to sleep. It can negatively affect psychosocial functioning and interrupt sleep patterns. Here are some more things you need to know about Night Eating Syndrome (NES). Did you know that eating disorders have the highest mortality rate of any mental illness? Bulimia nervosa is a life-threatening eating disorder that has many serious health consequences that are important to be aware of. While diabulimia is not yet included in the DSM-5, the term is quite often used to describe someone who is living with a comorbid diagnosis of Type 1 diabetes and an eating disorder. Here's what you need to know about this dangerous comorbid condition. The function of food choices is to support our overall wellbeing as human beings. Food choices should be free from shame and judgment. And I caution you to be wary of any system or trend that imposes these feelings onto participants. There are many biological and environmental risk factors that can help to predict one's susceptibility to developing binge eating disorder. While many of these risk factors are outside of our control, we can take proactive steps to prevent and/or treat any cognitive or behavioral symptoms that present. Did you know that a form of extreme picky eating is now considered a feeding disorder as described in the DSM-5? Learn more about this relatively new condition in this VLOG! There are many similarities - and comorbidity - between orthorexia and obessive compulsive disorder. Here are a few reasons why the so often co-occur and a few anecdotal examples. Dr. Kate Craigen, Clinical Director, Binge Eating and Bariatric Support Services for Walden Behavioral Care, discusses the connection between weight loss, dieting and binge eating disorder. If you are a parent of an adult living with an eating disorder, know that you are capable of making a significant and lasting difference in their lives and in their recovery. To help you better understand who exactly can be affected by binge eating disorder, Walden’s Dr. Kate Craigen shares some common demographic information in this vlog. Avoidant/Restrictive Food Intake Disorder (ARFID), also known as “extreme picky eating,” is an eating disorder impacting thousands of Americans, particularly children. Pica is defined as the persistent and compulsive eating, over a period of at least one month, of non-food substances (such as paint or string) that are not developmentally appropriate for that age. Shannon Stern is an adolescent clinician on our residential unit. Learn more about her and her role at Walden in this Ambassador of Hope episode!